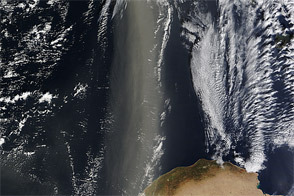 Thick dust blew off the northern coast of Africa and over the Mediterranean Sea in early March 2012. The Moderate Resolution Imaging Spectroradiometer (MODIS) on NASA’s Terra satellite captured this natural-color image on March 10. 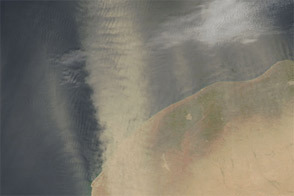 The dust plumes blew off the coast of both eastern and western Libya with clear skies predominating between the plumes. 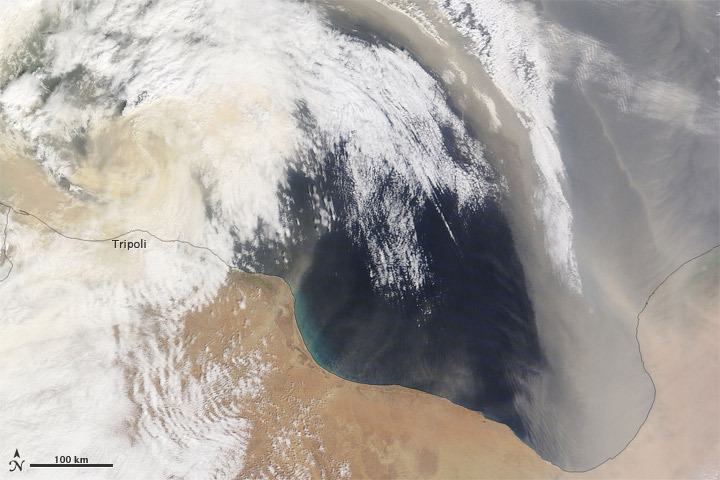 The eastern plume appeared larger while the western plume mingled with clouds northwest of Tripoli. Most of Libya is desert or semi-desert, with arable land accounting for only about 1 percent of the country’s land surface. 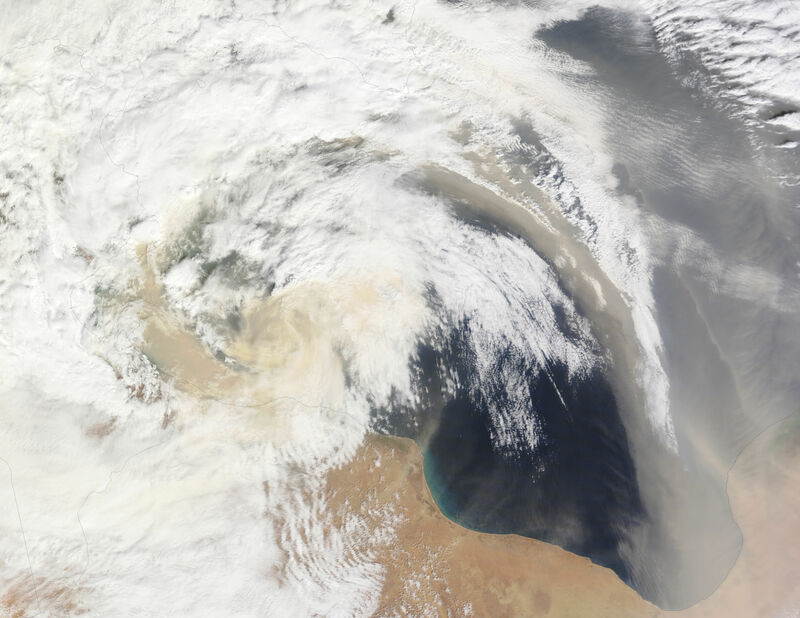 Hot, dry, dust-laden winds in the spring and fall can last for days, and dust storms count among Libya’s most frequent natural hazards. 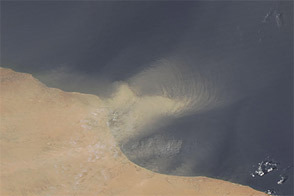 Acquired March 10, 2012, this natural-color image shows dust plumes blowing off the coast of Libya and over the Mediterranean Sea. CIA World Factbook. (2012, February 23) Libya. Accessed March 14, 2012.